We’ve been talking about standalone Daydream headsets for a few months now, and this week at CES, Lenovo made theirs official. Called the Mirage Solo, this will be the first Daydream VR headset you operate without a phone, complete with Google’s advanced WorldSense technology. 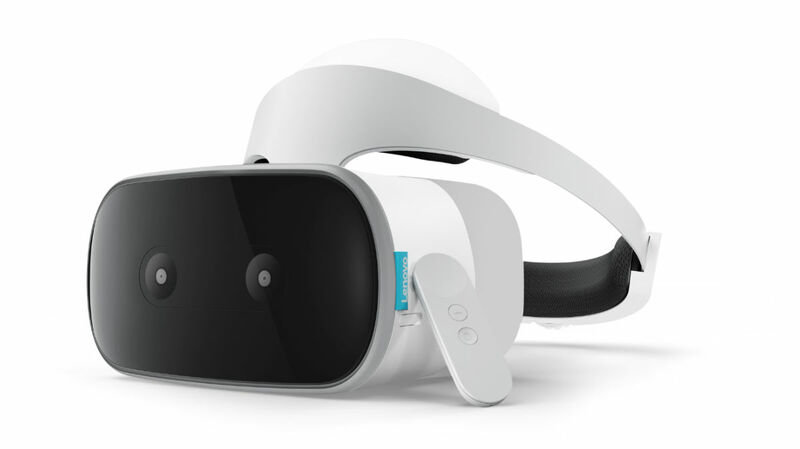 Think of it like any other Daydream headset Google has put out, but instead of throwing your phone into the headset to power the VR experience, the headset has all of the processing power, sensors, and display it needs. The Mirage Solo features a Snapdragon 835 processor, 4GB RAM, 64GB of onboard storage, 110-degree field of view LCD display with a resolution of 2560 x 1440, up to seven hours of playing time on a single charge, headphone jack, and as I previously mentioned, WorldSense. Here’s how Google explains WorldSense. WorldSense lets you duck, dodge and lean, and step backwards, forwards or side to side, unlocking new gameplay elements that bring the virtual world to life. 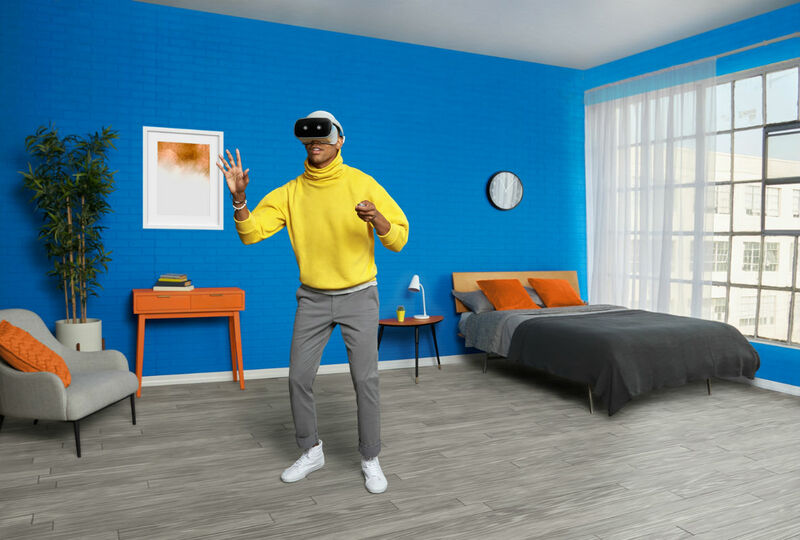 WorldSense tracking and Mirage Solo’s high performance graphics mean that the objects you see will stay fixed in place just like in the real world, no matter which way you tilt or move your head. Lenovo will launch the Mirage Solo in Q2 of this year, priced at $400.